Modern and simple. Unpretentious product series, developed in cooperation with “Bauhaus.TransferzentrumDESIGN” in Weimar. Our BAUHAUS series features hardcovers made from black cardboard, a black linen spine and matching elastic closure strap. 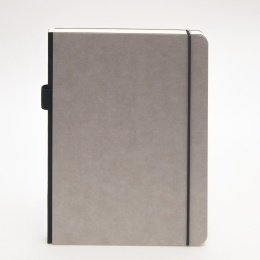 The front cover features a blind embossing of the history of Bauhaus. 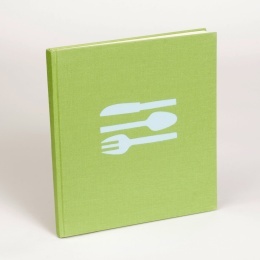 Each book block is thread stitched and made from premium white sketching paper (120g) with perforation for easy removal. 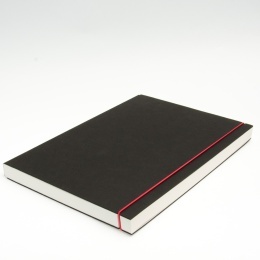 Due to a 5° angle cut book edge, our sketchbooks stand up when open. 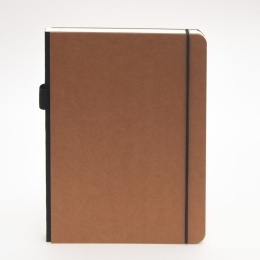 Our sketchbooks are all handmade and available in three different sizes (all blank).